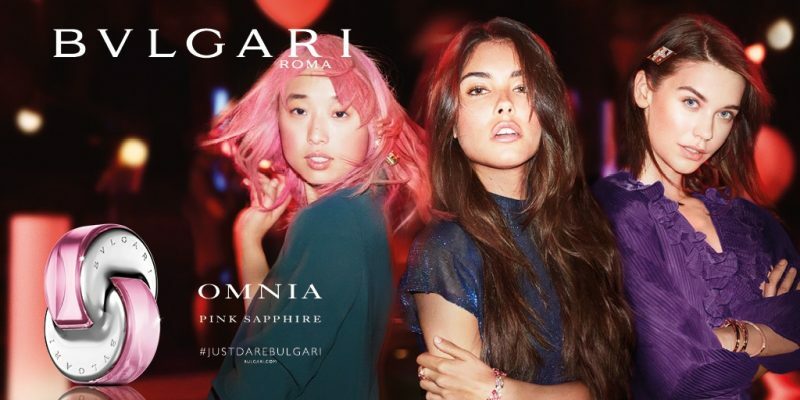 Their fragrance range provides us with a touch of the luxury Bvlgari have to offer at a fraction of the price when in comparison. The Omnia Collection is more of an introductory into the world of Bvlgari with the price being extremely affordable and competitively priced against other big name brands, the Goldea & Splendida Collections are mid-range lines and the Le Gemme Collection being the Rolls Royce of what Bvlgari has to offer in the fragrance world. The Omnia collection from Bvlgari is one of my firm favourites, with Omnia Paraiba being one of my favourite fragrances of all time. It screams summer and reminds me of so many happy sunny memories, so I was thrilled when hearing a new launch was on the horizon. Now they are launching another true beauty! Omnia Pink Sapphire! It’s youthful, fun and oh so girly. It’s a real easy wearing scent for times when you’re not taking yourself too seriously. It would make the ultimate uplifting summer fragrance and would be the perfect companion for a hot holiday. 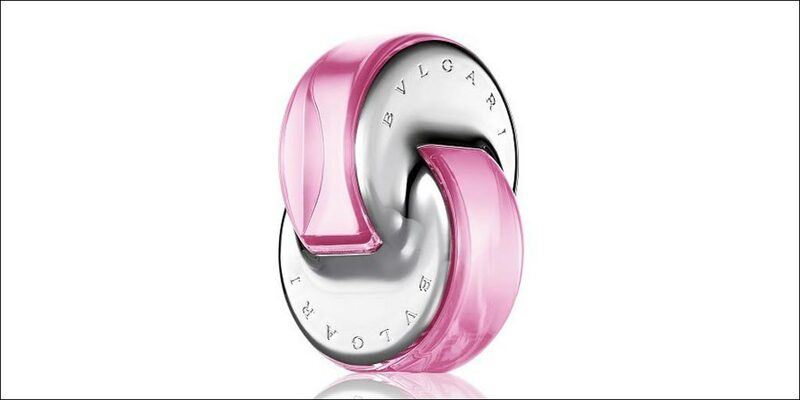 The Omnia bottle takes inspiration from Bvlgari jewellery and looks like two links of an interconnected chain. They all sport vibrant colours to the bottle and outer packaging making them jewel like, again taking inspiration for their luxury jewellery designs. As per the name, Pink Sapphire, the bottle and box are a vibrant Pink shade, representing the fun & feminine feel of the fragrance. Notes include Pomelo; a grapefruit like fruit giving it a zingy citrus opening accompanied by Pink Pepper giving the fragrance a sparkling vibe. Frangipani & one of my favourite ingredients Tiare Flower sit in the heart of the composition with Vanilla and Musk in the base. The note of Vanilla mixed with the opening sweetness create a sticky, almost gourmand scent perfect for spring/summer. 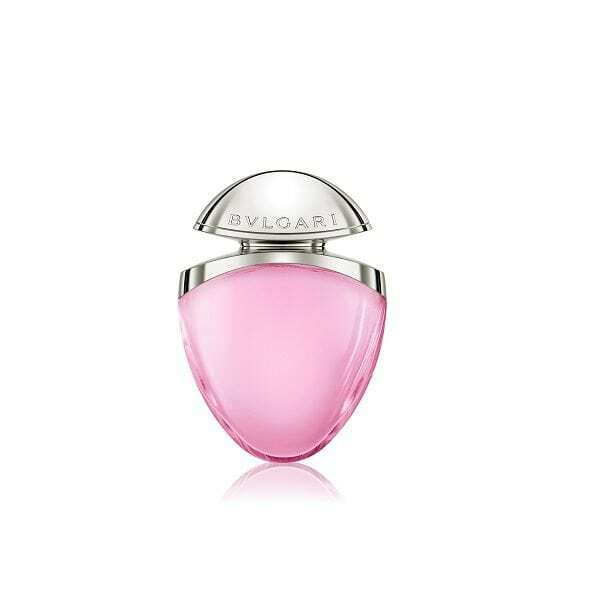 It’s available in 25ml, 40ml & 65ml Eau de Toilette Spray. The 25ml comes in this cute jewel charm handbag/travel size bottle and the 40ml and 65ml come in the standard link bottle. Also for purchases of the 50ml & 75ml there is a Free Pink Pouch available (limited stock so be fast! ).